Phone battery running on empty? 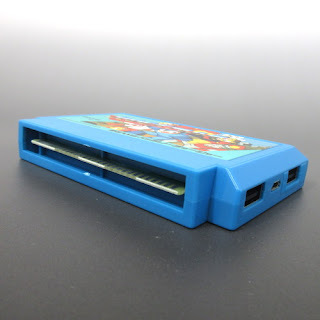 Worry not, friend – this replica Rockman 1 Famicom cartridge is here to save the day. Accessory maker Spiderweb are launching an officially licensed, portable Rockman 1 phone charger this November for 4,590 yen (roughly $40 US). It's practically a 1:1 recreation of the original cartridge, right down to non-working PCB contacts. So far the charger is only available through Spiderweb directly. If you have the means to do so, you can pre-order it here. International shipping is not available at this time. Keep your eyes peeled to eBay! "Complete with non-working PCB contacts." Forty bucks, huh? Well, it's cute… but, it ain't $40.00 worth of cute. 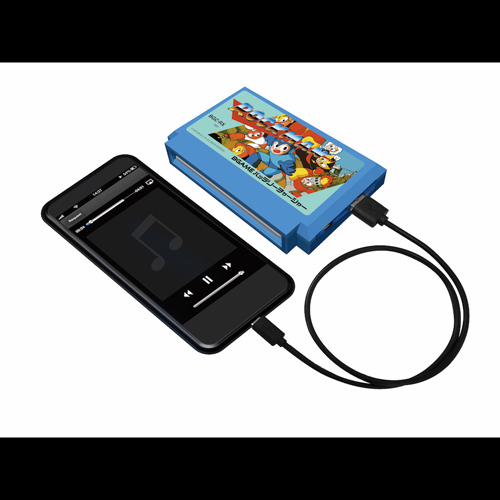 Now, if you could actually plug it into your Famicom to charge while you played Rockman, that'd be a different story! But, for what it is? Neh. That's a gorgeous little bit of kit, but I've already got an Anker bank I snagged from Prime Days, and I'd be afraid to take that thing to the coffeehouse without double bagging it so no one could spill coffee on it... and what good is it to charge my phone that way? :) PS - I hope the wedding went off without a hitch! Are the contacts actually non-work8ng, or do they just not connected to anything?